Being playful releases oxytocin into your body. The release of oxytocin helps with mood, energy and self confidence. Find a way to be playful each day that is fun for you. It can be alone or with someone else. Dancing, playing with balloons, or being silly with your kids are all ways to be playful. Find what makes you feel good. The more often your body releases oxytocin, the more oxytocin you will have in your body on a regular basis. Don’t think of it as wasting time. You need oxytocin in your system in order to function at your best. You will be more able to do the things you need to do of you take this time for emotional self care. This is a great way to create empowerment. You are allowed to set a boundaries about yourselves. If you were conditioned to spend all of your time taking care of what others want you to be doing, then this is a great way to begin to re-wire that old programming. Making time for your pleasure and fun will bring out your creativity and good nature. Taking the time for yourself to just enjoy something that is fun for you is okay. It is part of setting boundaries about your time. Your health and well being depend upon the levels of oxytocin in your system. Simple pleasures are more enjoyable to people with the proper levels of oxytocin in their bodies. You need to enjoy simple pleasures in order not to become oxytocin deficient. 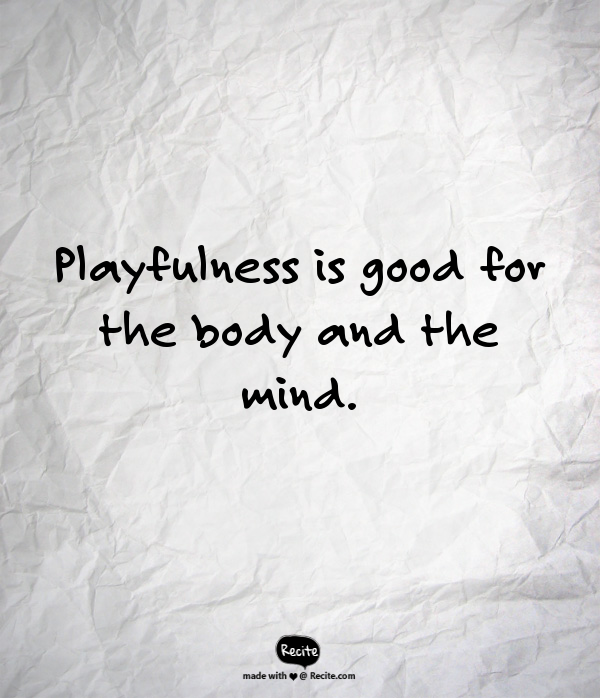 So take some time to be playful today doing something out of the ordinary for you, because your overall physical and mental health depends on it.